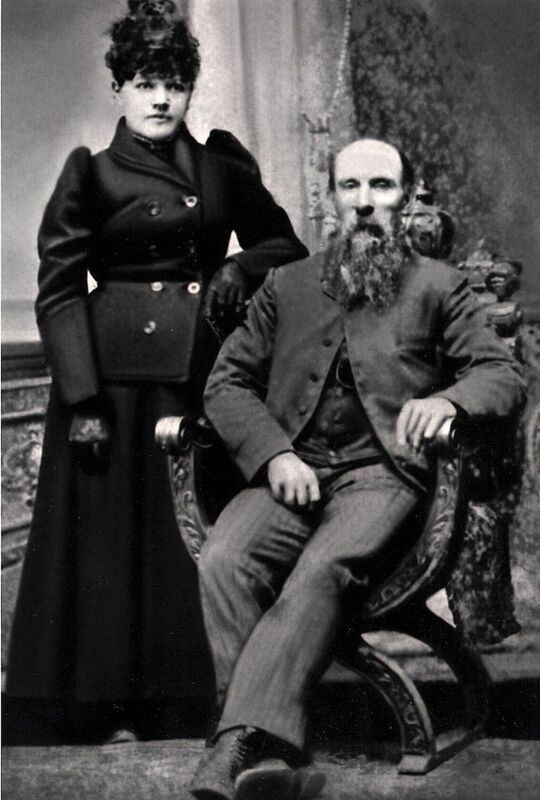 Bob and Johanna Sheldon are shown in a wedding photo from around 1885-1890. The two were Diane Janes’ great-grandparents on her father’s side. TULALIP — Often when people on the Tulalip Indian Reservation have old photos of family members they can’t identify, they call Diane Janes. If she doesn’t know who they are, often she can find someone who does. She’s been collecting tribal photographs for close to 50 years. For more than a decade, she’s been preserving history by compiling the photos into self-published books. Countless tribal members, their ancestors and many events on the reservation are chronicled in a dozen volumes, each an inch thick or more. About 10,000 photos are shown in 2,000 pages. The books are available to the public at the tribes’ Hibulb Cultural Center and Natural History Preserve. Thomas Adams, a non-tribal member, laid the first telegraph lines across the Tulalip reservation, in the 1860s. His wife, standing, was S’Klallam tribal member Ellen Giddings. The couple lived at Warm Beach. The photo is from the late 19th century. Though many tribal members know of Janes, 70, and her books, a lot of others don’t, she believes. “I’m hoping as more people see these, they’ll say, ‘That’s my relative,'” she said. When Janes was about 20, she started getting photos reproduced for her parents so they could have multiple copies — piquing her curiosity about her family in the process. Later, Janes began taking photos at Tulalip events. She compiled tribal photos for the Everett centennial celebration in 1993. Janes is not a certified genealogist but, through her work, has helped many tribal members learn more about their ancestry — starting with her own family. Stan Jones Sr., a longtime tribal leader and board member, is Janes’ uncle. Jones and his sister, Gloria, Janes’ mother, for a long time wanted to find the grave of their mother, who had died at a young age. They heard it was at the I.O.O.F. Cemetery in Monroe, but didn’t have an exact location. Several times over the years, they looked through the cemetery but couldn’t find the grave. Later, in the early 1990s, they were discussing the matter with Janes and she produced an extended-family photo that included a half-brother, Mickey Malone. He was contacted and knew exactly where the grave was located, in the same cemetery. “They were looking in the wrong place,” Janes said. Stan Jones’ wife, JoAnn, said Janes’ photo collections have meant a lot to their family. Having the photos helps put faces to names when relating family history to young people, she said. “We really appreciate them, she’s done so much work on those and done such a good job,” JoAnn Jones said. Tribal Chairman Mel Sheldon Jr. is a cousin of Janes’ on her father’s side. “It was really good looking at the pictures to know how far my family went back,” he said. As Janes began to collect more images, she felt the need to get them organized and documented. “I thought, ‘This could go on forever, and I’m getting older,'” she said. She began typing up captions and pasting them along with the photos on 8½-by-11 inch pieces of paper. She took them to a printer and had the pages reproduced and bound into a paperback. 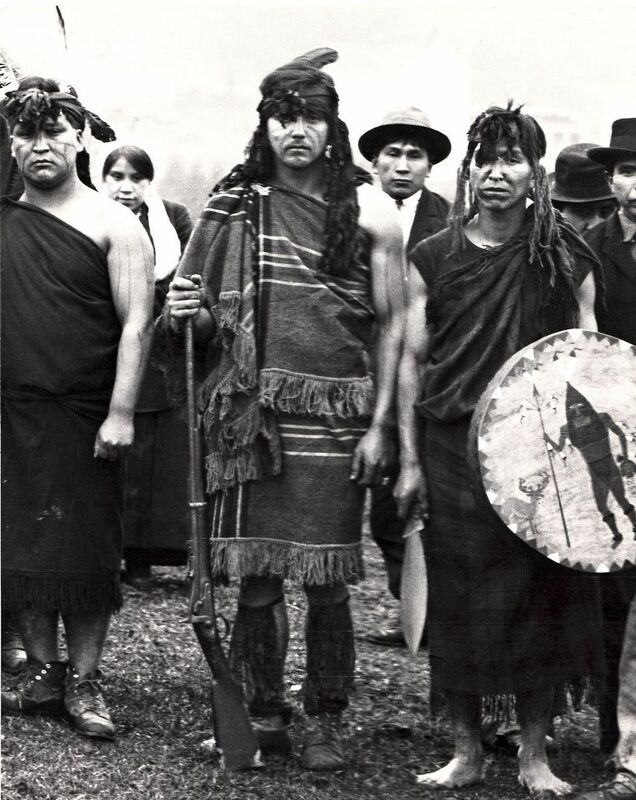 Tulalip tribal member George Jones is shown in ceremonial regalia at the opening of the tribal longhouse in 1914. Jones was the maternal grandfather of Diane Janes, who has compiled a series of books of tribal photos. The first book, “The Children of the Owl Clan,” was devoted to photos of the Jones side of her family. Two more volumes of photos on the Owl Clan and closely related families were to follow. She then produced three volumes focused on her Sheldon side. After that, she broadened her scope into other families, tribes and different aspects of reservation life. “Tulalips and Friends” and “The Mountain, River and Sound People” include photos of members of neighboring tribes, such as Lummi, Sauk-Suiattle, Swinomish, Upper Skagit and others, as well as Tulalips. One photo shows well-known Upper Skagit tribal member Vi Hilbert at age 4 or 5, taken in the early 1920s. 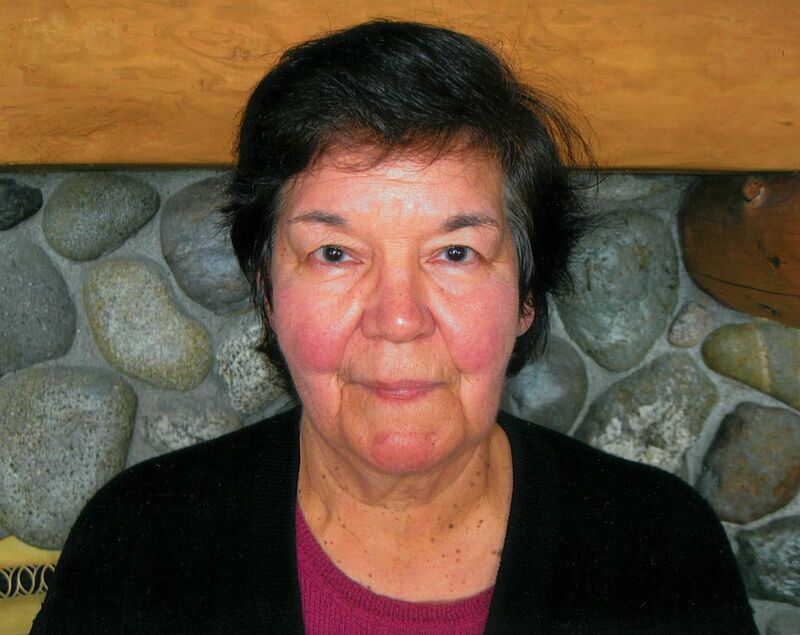 Hilbert played a key role in preserving tribal culture through her storytelling and work on reviving Lushootseed, the native language of the area. She died in 2008 at the age of 90. Another of Janes’ books, “The Children of the Longhouse,” shows photos of Tulalip ceremonial events from the early 1900s to the present day. “Paddle to Tulalip” features photos of the intertribal canoe journey and ceremony hosted by the Tulalips in 2003. “Tulalip Salmon Ceremony” spotlights the annual tribal ceremony honoring the summertime return of salmon to streams. Janes took many of her own photos for this ceremony and some of the others. 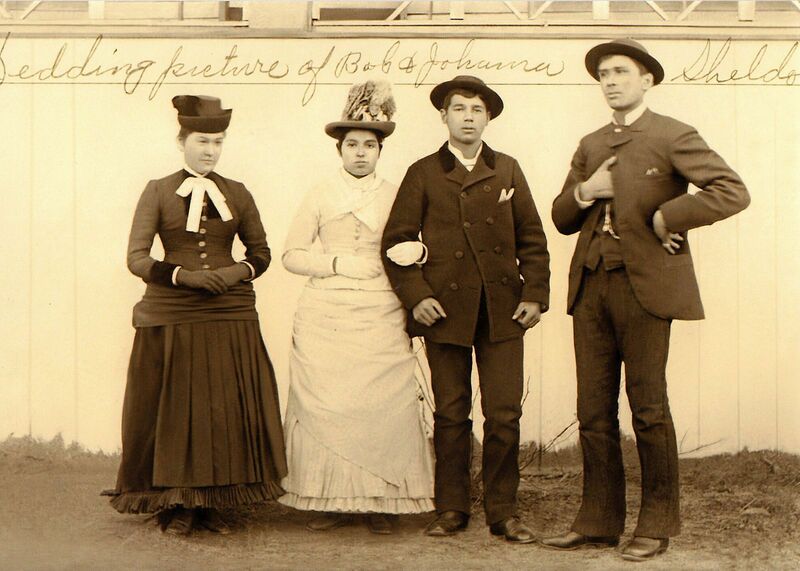 Another book is devoted to the history of education on the reservation, including photos and narrative about the white boarding schools where young tribal children were sent in the early 1900s. In borrowing photos from tribal members to reproduce, at first she’d take them to photo stores and pay to have them copied. She then tried to learn how to use scanning equipment, but that didn’t go well, she said. Then someone told her she could take photos of photos, and that made her work much easier, she said. Janes cares for a disabled daughter, Julie, 51, who was hit by a drunken driver at age 19. Janes doesn’t have to work at a regular job, which gives her time for her work. And it does take time, she said. In visiting a family to borrow photos, “You don’t just go in there, you sit and talk,” she said. She doesn’t plan on stopping anytime soon. The next book will be titled “Images of our Ancestors.” She’s also planning a book about her daughter. “All I want to do is record history as it comes, for whoever decides to share their photos,” Janes said. “There are so many tribal members who are historians. They don’t realize it, but they carry our history. Diane Janes’ books of photos about tribal life are available for $30 at the Hibulb Cultural Center and Natural History Preserve, 6410 23rd Ave. W., Tulalip. For more information, go to hibulbculturalcenter.org or call 360-716-2600. This entry was posted in Arts & Entertainment, News, Top Story, Tulalip News and tagged culture, Diane Janes, history, photographs, tribal photos, Tulalip by Kim Kalliber. Bookmark the permalink.